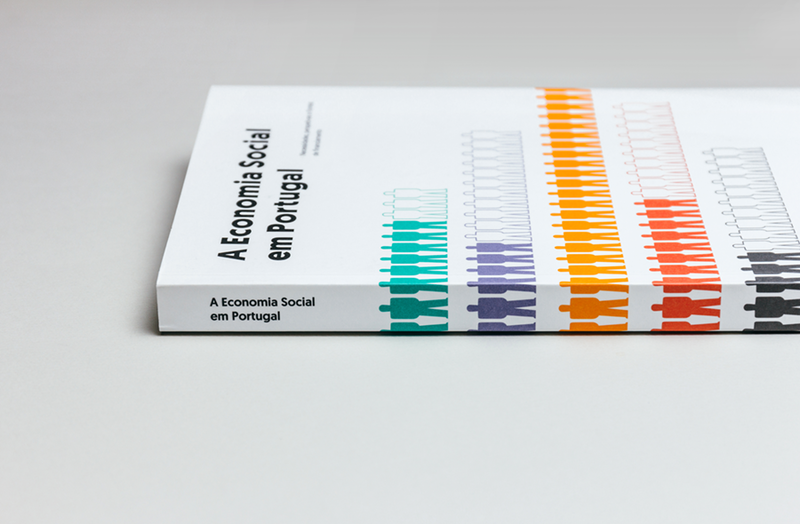 When faced with this challenge for the book A Economia Social em Portugal: Necessidades, perspetivas e fontes de financiamento (Social Economy in Portugal: Needs, prospects and sources of funding)—written by José Manuel Fernandes—we converted topics into colours and cluttered charts into clear and easy to understand infographics. The appendix uses a different coloured paper, allowing users to identify the book’s different content sections even when closed. The final result is a colour-coded, elegant and dynamic piece clearly divided by subjects and topics where information can be easily found.